I have a love/hate relationship with oatmeal. I often find myself saying I love it and hate it in the same sentence. See. I just did it again. When I started seeing recipes for Baked Oatmeal online, I knew I had to try it. It’s now my favorite way to eat oatmeal. 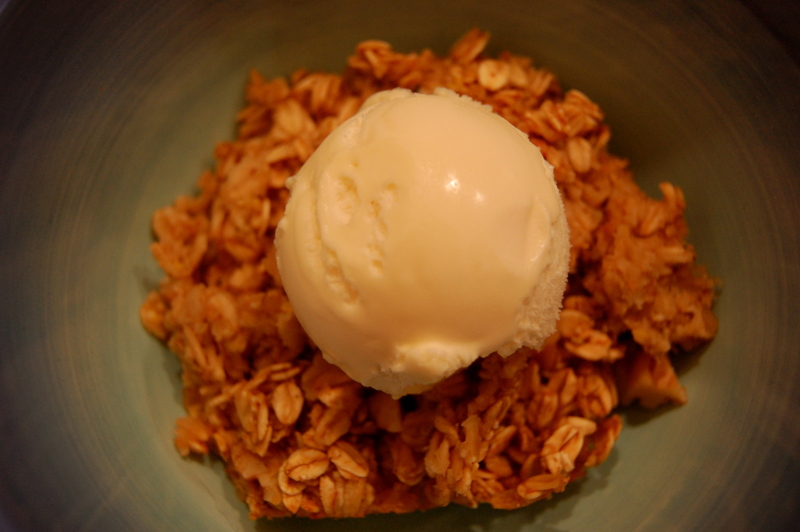 While this recipe has honey and some brown sugar, it feels healthier than the average dessert. I don’t really like sweet dishes for breakfast, so I usually end up eating this for dessert. What I really like about this recipe is that you can literally adjust it to your own taste. If you like cinnamon, just add more. If you like bananas, just replace the applesauce with bananas. If you like fresh fruit, then add it to the mix. Raisins, chocolate chips, dates …. you get the point. You can really treat this dish like a bowl of oatmeal. I don’t care for the “mushiness” of oatmeal. This dish has a chewy quality that I really like. Here’s my version. Save back ½ cup of nuts for the top. Combine the dry ingredients and the wet ingredients and mix well. Preheat oven to 375 degrees. Spray an 8X8 baking dish (I use a 9X9 because I like mine a little dryer and thinner) with nonstick cooking spray. Bake for 15 minutes. 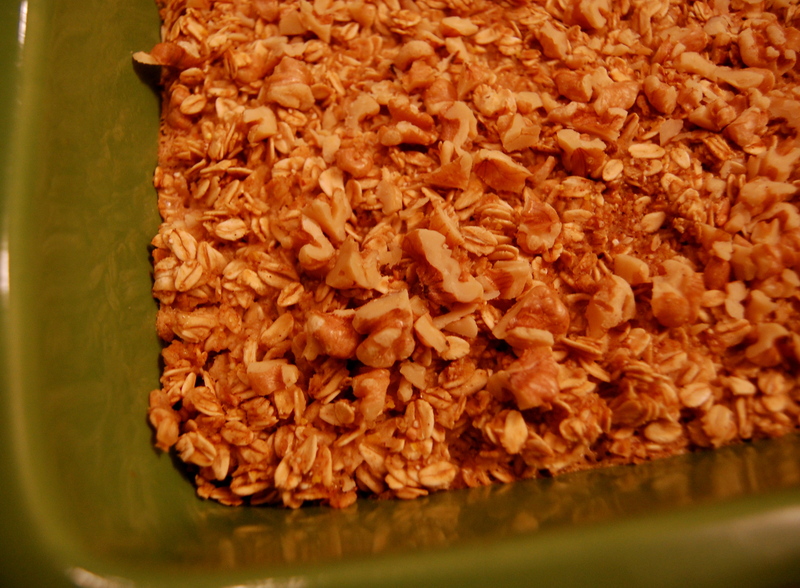 Remove from oven and sprinkle with chopped nuts. Bake an additional five minutes to toast the nuts on top. This really is a small dollop of ice cream. I swear! Tiny. Here’s the fun part. You can serve this with most anything! I like a tiny dollop of vanilla ice cream on top of mine. Nate prefers maple syrup on top of his. Strawberry jam or peanut butter would also be great! yummy!!!! Is the “Red Mill Mix” on the cereal isle next to the oats?